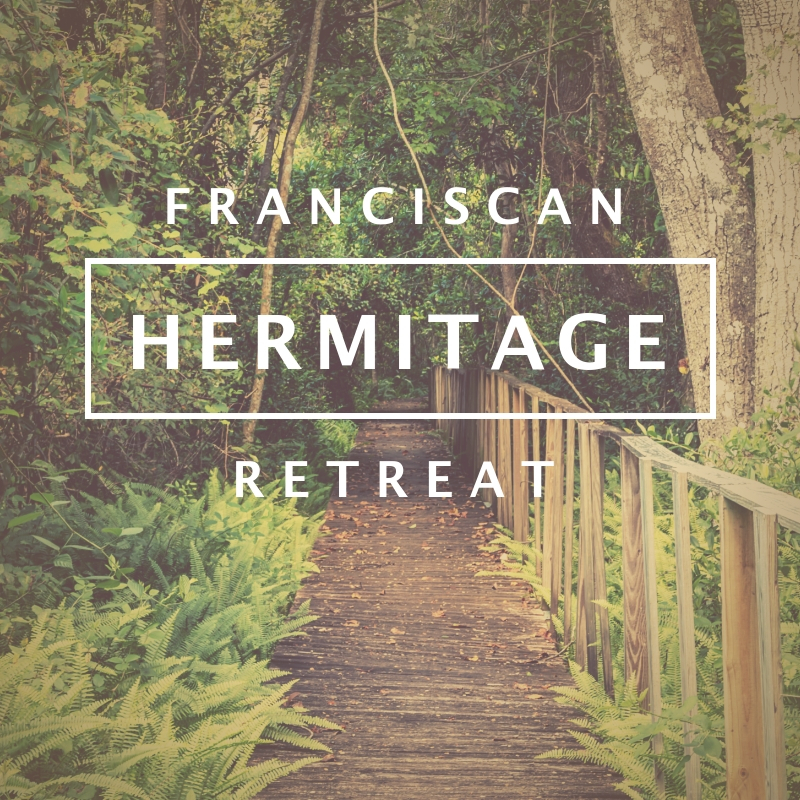 May 30-June 2, 2019 : A silent retreat guided by Franciscan Fr. Vianney Cunningham, TOR and Jeanne & Tony Walter. A silent retreat guided by Franciscan Fr. Vianney Cunningham, TOR and Jeanne & Tony Walter, Members of the Secular Franciscan Order. San Pedro Center offers opportunities for an experience of Franciscan Hermitage deeply rooted in the Franciscan tradition. Francis would withdraw to a hermitage or place of solitude in order to be with the Lord. In silence he would spend time praying. If you would like to experience this rhythm of solitude and quiet, you are invited to attend this retreat. After an orientation and talk on the Franciscan way of life on Thursday evening, the retreatant begins two and a half days of silence. Each day begins with Eucharist. The Divine Office is recited communally throughout the day and evening, and personal time with the Lord is spent in rest, personal prayer and enjoyment of the grounds & chapel. This retreat is limited to eight retreatants and fills up quickly. The retreat begins at 6:00pm Thursday evening and concludes with 10:00am Mass on Sunday. Please eat dinner prior to arriving Thursday evening.